Data Management Plans continue to be a “hot topic” of discussion in the eResearch community. 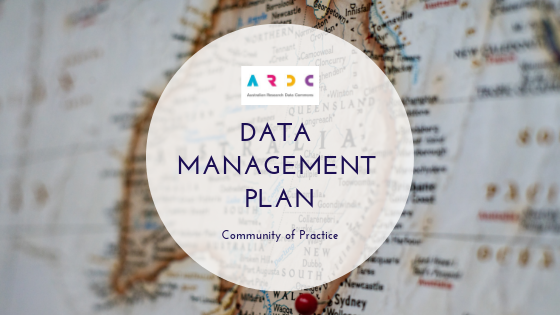 Continuing from a community network previously facilitated by the Australian National Data Service (ANDS), this Data Management Plans (DMP) Community of Practice is targeted at people in Australia and the wider Oceania region who are interested in discussing, building and improving data management plans (DMPs) best practice and technical tools. Liz Stokes from the Australian Research Data Commons (ARDC) will initially co-ordinate the group. The group will utilize Zoom meetings, a slack channel, and Google docs for agendas and sharing of materials. The first meeting for 2019 is on Tuesday, 9 Apr 2019, 14:00 - 15:00 AEST. People can be involved in the group in as little or as much as they like. We are also looking for a community DMP project to work on together. or by contacting Liz.Stokes [at] ardc.edu.au.